From left to right: 3BALL Minnesota’s Paris Kyles (Minnesota State/Brooklyn Park, Minn.), Joey King (Minnesota/Prior Lake, Minn.), Joel Armstrong (Winona State/Minneapolis, Minn.) and Brensley Haywood (St. Mary’s/Brooklyn Park, Minn.). From left to right: 3BALL Olympic Club’s Ari Warmerdam (UC Davis/San Francisco, Calif.), Joe Harden (UC Davis/Yountville, Calif.), Jeff Powers (California/San Francisco, Calif.) and Paul Shamieh (St. Mary’s College/Sonoma State/San Francisco, Calif.). From left to right: Ariel Slow & Steady’s Damon Huffman (Brown/Seattle, Wash.), Craig Moore (Northwestern/New York, N.Y.), Kareem Maddox (Princeton/Brooklyn, N.Y.) and Dan Mavraides (Princeton/Los Angeles, Calif.). From left to right: Ariel Turtles’s Jimmy Sherburne (Princeton/Chicago, Ill.), Mack Darrow (Princeton/Chicago, Ill.), Robbie Hummel (Purdue/Chicago, Ill.) and Jitim Young (Northwestern/Chicago, Ill.). From left to right: ATG’s Alberto Damour (Tampa, Fla.), Charlie Lytle (Florida Gulf Coast/Clearwater, Fla.), Mike Lytle (West Georgia/Clearwater, Fla.) and Ben Patrick (Eastern Florida State/Clearwater, Fla.). From left to right: Harlem’s Dominique Jones (New York, N.Y.), Antoinne Morgano (New York, N.Y.) and David Seagers (Bronx, N.Y.). From left to right: Infinite Hoops Nation’s Caprest Rhone (East Central University/Des Moines, Iowa), Ryan Marshal (Des Moines, Iowa), Edin Suljic (Ellsworth/Eastern Illinois/Des Moines, Iowa) and DeMarco Turner Jr. (Central College/Des Moines, Iowa). From left to right: Roots Academy’s Josh Wilson (Northern Arizona/Olympia, Wash.), Ryan McDade (Northern Arizona/Enumclaw, Wash.), Marc Axton (Eastern Washington/Spokane, Wash.) and Kelly Golob (Northern Arizona/Olympia, Wash.). From left to right: Savage Deaf Fellas’s Anton Jackson (Gallaudet/Washington, D.C.), Frank Jackson Jr. (Gallaudet/Washington D.C.), Orion Palmer (Riverside CC/Gallaudet/Washington, D.C.) and Kristofer Saucedo (Gallaudet/Washington, D.C.). From left to right: Shelton's Soldiers’s Evan Forhetz (Freed Hardeman/Franklin, Tenn.), Stephen Shell (Freed-Hardeman/Bella Vista, Ark. ), Tyler Boring (Lindenwood/Collinsville, Ill.) and Brice Sharp (Lee/Cleveland, Tenn.). From left to right: Underdogs‘s Michael Liander (Queens College /Forest Hills, N.Y.), Marcel Esonwune (York College/Queens, N.Y.), Edis Dervisevic (Long beach State/New York, N.Y.) and Steven Ruple Jr. (Boise State/Harlem, N.Y.). From left to right: WAC’s Brett Boese (Washington State/Seattle, Wash.), Matt Nelson (South/Bothell, Wash.), Hans Gasser (Washington/Seattle, Wash.) and Eliud Gonzalez (Illinois State/Seattle, Wash.). Exactly what is the 2018 FIBA 3x3 World Cup for Women? 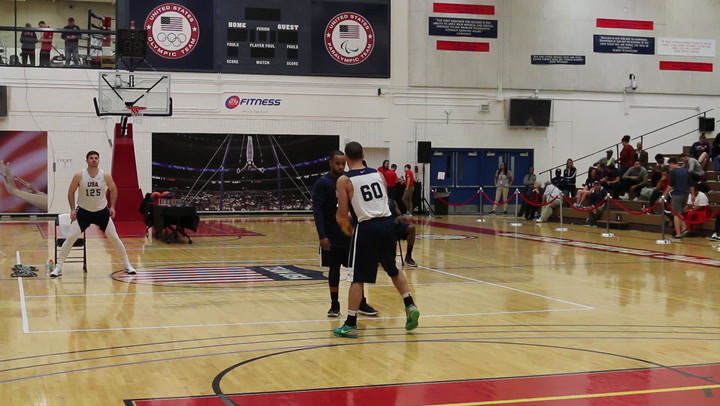 How have past USA 3x3 teams fared? Who are some of the stars who have played in past women's 3x3 World Cups? Find out here. 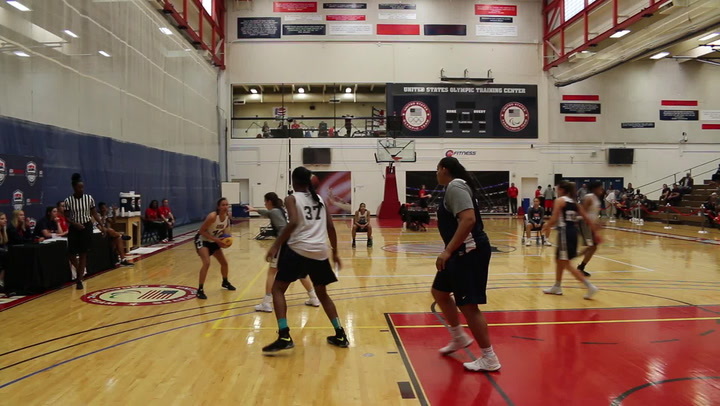 After a full slate of games on Saturday, the preliminary round of competition in the men’s and women’s 2017 USA Basketball 3x3 National Tournaments is in the books.